The Independence Day of any country is a moment of pride and glory. At the strike of midnight of the August 15, 1947, India shook off the shackles of British Rule and became free. It was a night of celebration all over the country. 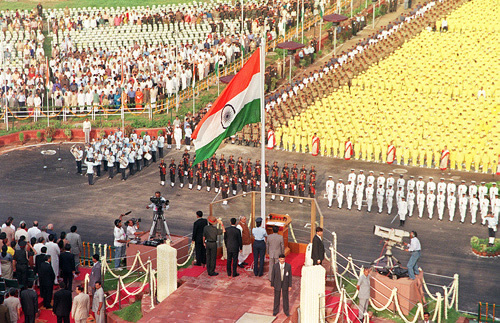 Doordarshan and many other News Channels will show the Independence Day celebrations Live telecast all over India.You can visit the http://independenceday.nic.in to view online 2011 Red Fort New Delhi Independence Day celebrations Live Streaming . You can also watch the president address to the nation on this site. Air India Radio and their all channels will also broadcast the entire event on 15th August from 9.20 A.M. onwards on Monday. So, enjoy and watch 15th August 2011 Independence Day celebrations Live streaming by sitting at your home and celebrate the Independence Day on 15th August 2011 with great enthusiasm.